Love Beats Hate is back for 2011! This is a day set aside to focus on the positive aspects of online interaction and the amazing friends that can be made. The event stemmed from some cases of online bullying, which everyone knows can and has led to tragic consequences for some people. For others, the consequences might not have been tragic, but they have been hurtful. We can’t stop idiots from acting like idiots, but we can stand together and stick up for social media. You can see my first Love Beats Hate post here. In that video I am talking about the wonderful friends that I have made and the way in which socialising online has made living with a crippling disability a whole lot easier. 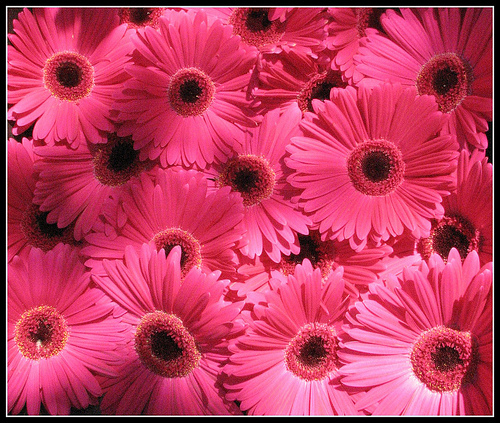 The pink gerbera is the symbol for Love Beats Hate, this time around I chose a picture that represents our little bunch of blog posts coming together! Today I wanted to write a little about maintaining online friendships. As well as school kids bullying one another, there are also adults who behave in the same immature manner. I have seen many cases of people getting upset about something that someone in an online community said or did to them. I have even seen people go into self deprecating rants on Twitter or Facebook simply because nobody has replied to something that they have posted and they jump to the conclusion that this means no one is listening, or cares. For those who actively set out to abuse and upset: the person you make most miserable is yourself. For those who get upset if they don’t feel like they have an active audience, remember this: everyone’s life is not about you. With social media updates happening every second, across many websites, all around the world, it’s easy to feel like we have to be up to the second on every little bit of information. When I first started using Facebook and Twitter, I felt a great obligation to read absolutely everything that people posted. I had less friend connections back then, so that was easy, but as my online community grew it became impossible to keep up. That’s when I began to understand that social media updates (Facebook, Twitter, RSS feeds) are a stream. Sounds obvious, but my epiphany was that I didn’t have to read absolutely everything in the stream. I could just dip face into the water when I felt like it and examine whatever happened to be passing at that moment. How liberating! That was also around the same time that I realised most people aren’t going to read everything that I write either and I am cool with that. I am several months behind in reading other people’s blogs, I simply have not had the concentration and energy to take in much information lately. This has nothing to do with the content of the blogs, nor is it an indication of how much I care about the authors, it simply is what is. There is a reason that the saying “It’s not you, it’s me” is so prevalent, because it’s often true – and not just in the romantic relationship setting. In my case, prioritising one conversation or reply over another is often not a conscious prioritising effort at all. Most of the time, it’s purely chance; when I get the message or my condition at that time will influence whether I reply immediately. It can take a different mind space to talk about different topics with different people. Exchanging quips with strangers over Twitter is a much different thing to having a in depth conversation with a close friend on the phone, or sitting down and reading a blog post. If I don’t read something immediately, it is usually a sign that I am interested rather than not, I want wait until I have my full attention to give to it. One issue that arises with so many public updates, is that people can often feel like they are being neglected in place of other friends or activities because they see their friend engaging with other people. Sometimes, I am sure this is true and those are the cases in which the best thing you can do for yourself is evaluate how much time and effort you feel it is appropriate to give the friend that is upsetting you. Most of the time, however, there are extenuating circumstances influencing what your friend is doing. I find it is usually most suitable to give them the benefit of the doubt, someone who truly isn’t interested in catching up with you will make that clear over time. Don’t underestimate the power of feeling sad and lonely, it can project a lot of assumptions onto those you care about and if you choose to act on the assumptions then you could turn a misunderstood situation volatile. Another illusion that glimmers in online friendships is that of broadcasting versus communicating. Not everyone realises the difference between these. When I am writing a blog, Twitter update or Facebook status, I am broadcasting. That is, I have something to say and I am saying it, but I don’t always have the energy to communicate at the same time – meaning that if people respond or leave comments, I don’t always get back to them immediately. Communicating requires the ability to think about someone else’s opinions and perspective, broadcasting simply requires being able to word one’s own. The easiest way to get the most out of your online friendships is the same as in real life. Be genuine, be yourself and be understanding. Don’t give in order to receive, you’ll only be disappointed. Give because you want to make someone else smile, or because you are genuinely moved to comment or respond to something that has been written. Write because you have something to say, not because you need someone to read it. Care because you can – do you really need a better reason to bring a bit of happiness into your life and the lives of those you care about? If you have read this all the way through, thank you for being a part of the community that I cherish so dearly. If I am late responding to your emails, messages or blog posts, don’t feel hurt – It’s not you, it’s me. I’ve had some personal stuff to deal with, but I’ll catch up on all your news as soon as I am up for dealing with more than just my own problems. Love Beats Hate, want to participate? Simply blog or tweet and post a link to your contribution on the Facebook page. 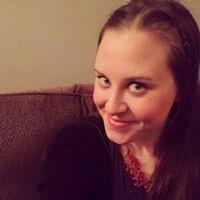 This entry was posted in Living With CRPS/RSD and tagged Blogging Event, Love Beats Hate, Social Media on February 10, 2011 by Hayley Cafarella. It can be impossible to keep up with all the social media updates. It is a great reminder not to take it personally. We can only do what we can do. Happy Love Beats Hate Day to a loving, honest, sincere blogger. Oh and I love the picture with all the pink flowers! The friends I’ve made online through social networking are near and dear! The power of technology is amazing! Thanks, Kristy! Lovely to meet you and I’m looking forward to getting to know a bit more about you through your blog! wonderfully stated…my post tomorrow relates to this in a way…too. wishing you moments of ease and pockets of peace. What an awesome flower picture! Where shall I start? As always, you have found a marvelous way to put things into words. You have touched on topics that so many people can relate to nowadays with social media expanding its reach all the time. I think part of the reason for your extraordinary ability to encapsulate the dynamics that so many people feel or witness with social media stems from the fact that you’ve been using these mediums longer than most; I think the other part is just the fact that you are an excellent writer! You make so many terrific points! Like you, I can remember a time when I could actually get “caught up” on my messages. (It has been a very long time since I did that)!! I started using Twitter, Facebook, and a blog (along with a few other sites that generated email notifications) in 2008. Yet I was able to get “caught up” (occasionally, anyway) on all messages. Now, I don’t ever get “caught up” on all of my messages like I used to. Not even close. When I got to the part about you dipping your face in the stream, it reminded me of the Pensieve in the Harry Potter books. Just as the Pensieve could be used to view selected memories, we can each consciously decide specifically what to look at on Facebook or Twitter or blogs. I’m several months behind reading everyone’s blogs too. I do the best I can to keep up but I keep meeting more and more bloggers. Each blogger has Facebook, Twitter, or both and I am often linked with each given online friend in a variety of locations. (Those are just the “main” sites. There are others). So, as you had indicated… things can reach a point where it truly becomes impossible to stay (or even occasionally get) “caught up” on everything. Like you said, it is liberating to know that it’s a two way street. My online friends can’t always read/comment on what I post either and they, therefore, won’t think I am snubbing them if they haven’t heard from me in awhile. We all know we’re doing our best to keep up as best we can. We’re all busy. Some of us are quite ill too. For those of us who are chronically ill, this level of understanding is even more important since gaps of time may easily go by when someone is simply too ill to be online or to be online much. There are many extenuating circumstances than can delay a person from communicating with his/her online friends. I began writing this very blog comment many hours ago, got interrupted by various things, and came back to it when I could. (Granted, it was driving me a bit batty that I had a partial comment sitting on an open tab on your blog for half the day… but I wanted to take my time and leave a detailed blog comment to this excellent post). As you so astutely observed, misunderstandings can certainly turn volatile. Broadcasting vs. communicating… Excellent distinction between them! If anyone is “being genuine, being oneself and being understanding”, Hayley… it’s you! Since we “met” online in 2008 – from opposite ends of the world – it has always been abundantly clear to me that you are the real deal! Your authenticity and genuine compassion shines through in everything you write. You don’t mince words when you have a point to make and are yet always 100% professional and respectful of others. If I don’t read something immediately, it is usually a sign that I am interested rather than not, I want wait until I have my full attention to give to it. I do this a great deal. Sometimes, I catch up on “fast” things first and then focus on more complex things. Thanks for yet another thought-provoking and insightful post, Hayley! I think we all get behind on communicating with others, and one of the reasons I love social media so much is I can dip in, check everyone is ok, and just leave a quick “hello” rather than having to worry how everyone is. I think we just have to remember that, especially as we get older and life seems to get busier and more demanding, we won’t have the same time to devote to hour-long communications with each of our friends… as a child you probably have 5 or 6 really close friends, but as you grow older, you gain more friendships and yet your time is more limited through work, family or other life commitments. Some people find this hard to adapt to, you are right. But most will understand because most are coming from the same perspective as you are, essentially! (and I couldn’t agree more). Especially with these lovely words of yours … ‘Be genuine, be yourself and be understanding. Don’t give in order to receive, you’ll only be disappointed’. I think every so often when we get too caught up in little details, we need to remember such words.